3 pack emergency drinking water. 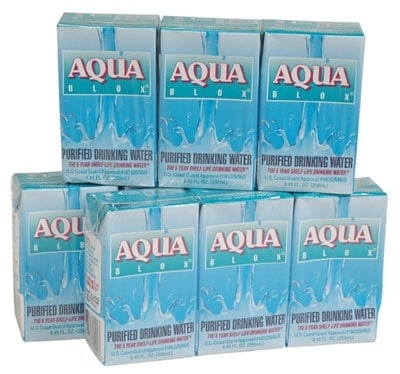 Aqua Blox is the industry standard for survival kits. Do not settle for the packets of water. These 8.45 FL. OZ boxes contain twice the amount water as the outdated water pouches. They also include a strap which prevents wasting precious water. They have a 5 year shelf life and are approved by the U. S. Coast Guard.